Arabian Street Artists sabotage Showtime program with “Homeland Is Racist” set graffiti. 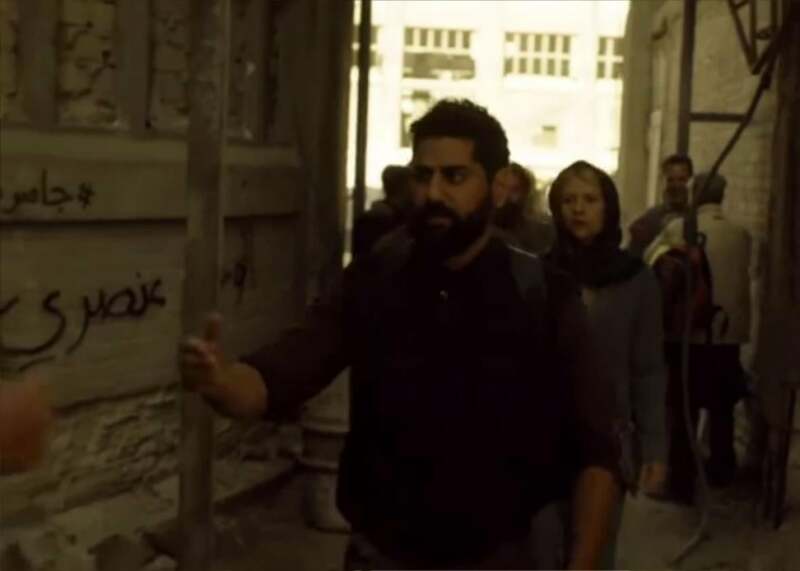 A collection of street artists going by the name the Arabian Street Artists were able to sneak the graffiti message “Homeland is racist” on to last Sunday’s episode of Homeland, the group announced in a blog post on Wednesday. In our initial meeting, we were given a set of images of pro-Assad graffiti- apparently natural in a Syrian refugee camp. Our instructions were: (1) the graffiti has to be apolitical (2) you cannot copy the images because of copyright infringement (3) writing “Mohamed is the greatest, is okay of course”. As you can see in the above still from the show, the “Homeland is racist” line apparently actually made it on to Sunday’s episode. Homeland co-creator Alex Gansa told Time magazine that he’d have removed the graffiti had it been caught in time but also had a grudging respect for the protest. “As Homeland always strives to be subversive in its own right and a stimulus for conversation, we can’t help but admire this act of artistic sabotage,” he said.